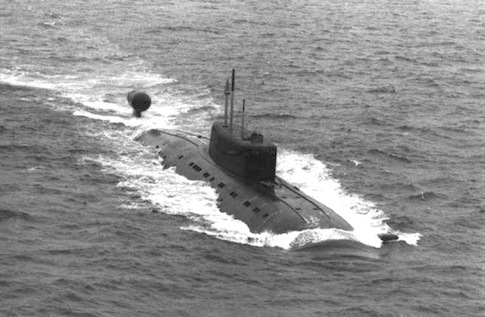 "A Russian AGI and an SSN in the same geographic area as one of the largest U.S. ballistic missile submarine bases—Kings Bay—is reminiscent of Cold War activities of the Soviet navy tracking the movements of our SSBN's," said a third U.S. official, referring to the designation for ballistic missile submarines, SSBN. "While I can't talk about how we detected it, I can tell you that things worked the way they were supposed to," the second official said, stating that the Russian submarine "poses no threat whatsoever." "On June 1 or a bit later we will resume constant patrolling of the world’s oceans by strategic nuclear submarines," Russian Navy Commander Adm. Vladimir Vysotsky was quoted as saying Feb. 3. Richard Fisher, a military analyst with the International Assessment and Strategy Center, said Russian submarine patrols in the Atlantic have been reduced but remain "regular." "As was their primary mission during the Cold War, Russian SSNs [nuclear attack submarines] would likely be trying to track U.S. nuclear missile submarines deploying from Kings Bay, Ga., and to monitor U.S. naval deployments from Norfolk, Va.," Fisher said in an email. In both incidents, U.S. military spokesmen sought to downplay the threat posed by the air incursions, apparently in response to the Obama administration’s conciliatory "reset" policy of seeking closer ties with Moscow. Chief of Naval Operations Adm. Jonathan W. Greenert, in response to the report first published in the Free Beacon, stated in a letter to Sen. John Cornyn (R., Texas) that "based on all of the source information available to us, a Russian submarine did not enter the Gulf of Mexico." "Most of these strategic flights are … Tupolev TU-95 Bear [bombers]," he stated. "In 2007 (and partly 2008) we also identified some TU-160 Blackjack. Lately we have also identified some TU-22 Backfire."